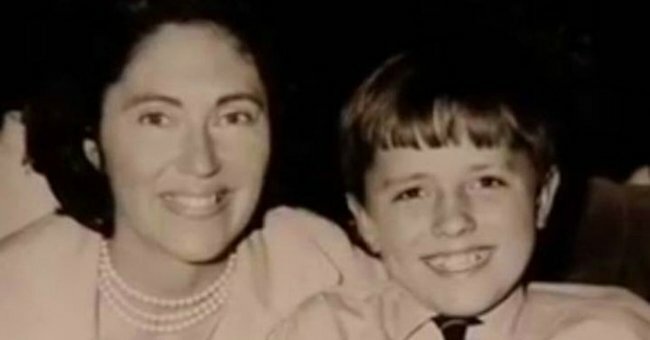 How much do you really know about Malcolm Turnbull's mum? Malcolm Turnbull's mother was a "remarkable, colourful woman'. For all we know about the Turnbulls, we don’t know much about Malcolm’s mum. You know about Malcolm Turnbull. You know about his wife, Lucy Hughes, first female Lord Mayor of Sydney. How much do you know about the Prime Minister’s mother, Coral Lansbury? What most people do know is she left Turnbull with his father, Bruce, at the tender age of eight. From the young boy’s point of view, his mother’s departure was sudden: she took the furniture, she took the cat, and soon moved to New Zealand. She was gone and, being sheltered by Bruce from the divorce, he didn’t really understand why. 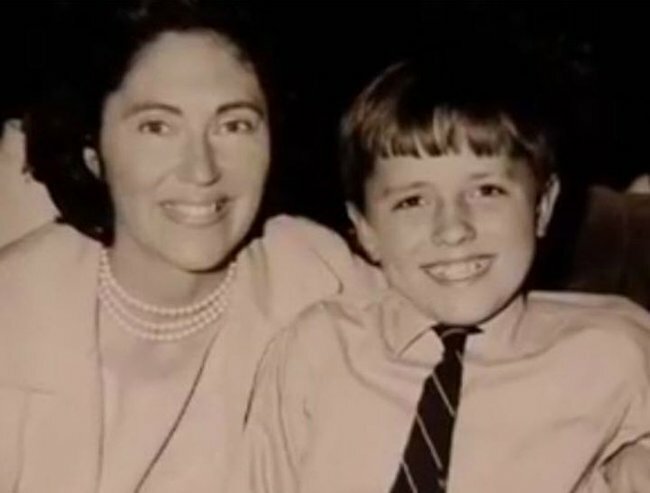 Malcolm with his mother, Coral Lansbury. 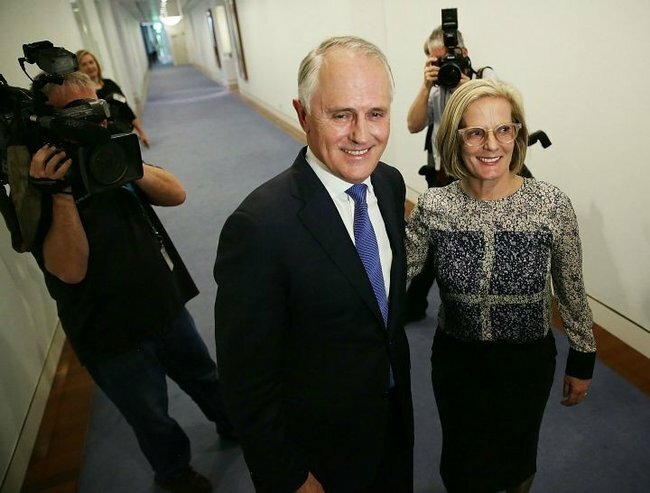 Malcolm and Lucy Turnbull. Image via Getty. So a part of Coral’s legacy is Malcolm Turnbull, PM – but only a part. Lansbury’s own career, particularly as an academic, and her contribution to Australia’s intellectual life, is also undergoing something of a reassessment. To recap: Coral Lansbury was born into a showbiz family in 1929. Growing up on Sydney’s north shore, she was a precocious student, and an avid writer from an early age. She finished her schooling at 15, wrote her first radio play at 17, and established herself as a budding actress. At 18 she enrolled in arts at Sydney University, befriended young law student Neville Wran – he was a keen amateur actor, apparently quite the heart-throb, and would have a lifelong influence on Turnbull – and by 1950 had finished a glittering honours degree majoring in literature and history and studded with prizes including the Henry Lawson prize for poetry (her son won the same prize a quarter-century later). She started work on a masters thesis on the history of trade unionism, supervised by the legendary Bede Nairn, but her star was continuing to rise in radio. When Coral was 21 the ABC produced her first serial, The Red Mountain, and by the early 1950s Coral was playing the lead in significant productions like Escape Me Never. In 1953, aged 24, Lansbury married her godfather, wealthy old radio star George Edwards, her senior by forty years, but he died six months later. She met handsome Bruce Turnbull swimming near her Point Piper home, had a whirlwind romance, and Malcolm was born in October the following year. Coral valiantly juggled her radio career with early motherhood, continuing to write and perform. Then, but with the advent of television, it became clear that radio’s best days were behind it. She switched to academia, and was appointed a history tutor at the University of NSW (teaching another Labor luminary, Bob Carr) in 1963. There she fell in love with academic John Salmon, marrying him after her divorce from Bruce, and followed him to teach at New Zealand’s Waikato University, while finishing an MA and doctorate at the University of Auckland. Her thesis, “Arcady in Australia: The evocation of Australia in Nineteenth-century English literature” was completed in 1970 and published by Melbourne University Press. It was groundbreaking, challenging the myth that Australia’s bush poets, published largely in that crucible of the Australian identity, The Bulletin, invented the Australian ethos of make mateship and egalitarianism. Instead, she argued the popularity of English writers with early trade unionists – especially Charles Dickens – transplanted the myth of a happy rural life to Australia with huge success, evoking however “a new Australia that bore only passing resemblance to the country as it existed”. Lansbury challenged Russel Ward, author of the seminal 1958 book The Australian Legend which encapsulated the bush ethos, to a literary debate which he refused! Lansbury may well have become one of our finest historians: Manning Clark had wanted her to do her PhD on Dickens under him at ANU, and regretted her departure to New Zealand. When her third husband moved to the US to teach, Lansbury followed him. There was not much demand to study Australian history in America, so she concentrated on English literature, publishing three more scholarly works and eventually became a celebrated professor and then dean at Rutgers University in New Jersey. As Nolan argues, Lansbury’s decision to move overseas, and to switch academic disciplines, prevented her having a more substantial impact in Australia. So did her decision, in the mid-eighties – famously provoked by her distant cousin, Murder, She Wrote star Angela Lansbury – to stop writing “dreary academic books that nobody reads”. Born to Rule: The unauthorised biography of Malcolm Turnbull is out now. Lansbury turned to writing hilarious novels, variously described as ‘bodice-rippers’ or ‘bedroom farce’, suffused with her learning and enjoying moderate critical success. Four were published – Felicity, Ringarra, The Grotto and Sweet Alice­ – and Malcolm Turnbull took on the job of finishing a fifth manuscript, Opium, which was slated for publication when she died of bowel cancer, in 1991. 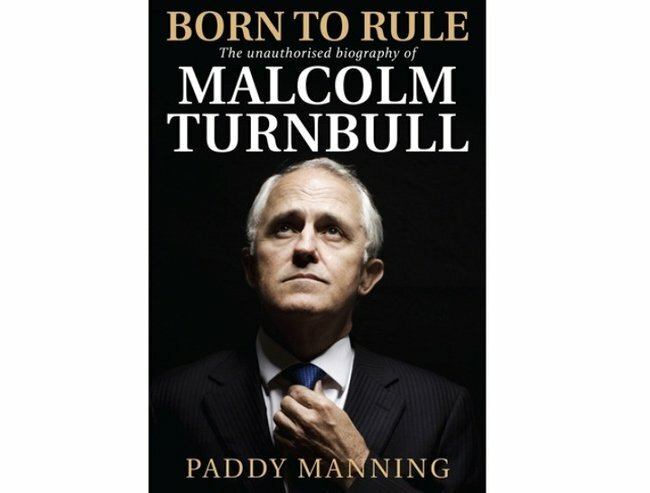 Paddy Manning is the author of Born to Rule: The unauthorised biography of Malcolm Turnbull (MUP), out now. Mamamia readers use the discount code BORN20 at the mup.com.au checkout for 20 percent off print edition copies of Born to Rule. The offer will be valid through to December 31, 2015 and includes free shipping.